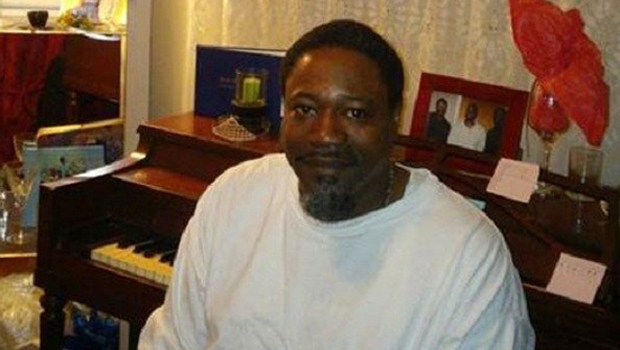 SUMMERVILLE, S.C. -- Mourners are expected to gather Saturday in Summerville, South Carolina to remember Walter Scott, the 50-year-old black driver who was fatally shot by a white police officer after fleeing a traffic stop in North Charleston. A steady stream of people gathered Friday afternoon at a wake to pay their respects to Scott, whose open casket was draped in an American flag and adorned with a Dallas Cowboys sign and a miniature figure of a player. A heart-shaped flower arrangement to the left of his casket during the wake read "Beloved Father" and a ribbon on the right read "St. Andrews Parish High School Class of 1984." Some visitors expressed how bewildered they were with the circumstances that led to him lying there. Scott was stopped on April 4 for driving with a broken tail light and eventually ran from the officer. Scott was driving a 1991 Mercedes that he bought from a neighbor and was headed to an auto parts store that morning, his brother Rodney Scott said. Police and an attorney for former officer Michael Slager said Scott was fatally shot during a tussle over Slager's gun. Slager was fired and charged with murder after video recorded by a witness surfaced and showed the officer firing eight shots at Scott as he tried running away. Video from the police car's dashboard camera shows Slager asking Scott for his license and registration, then heading back to his cruiser before Scott gets out of the car and runs. The case prompted outrage across the country as the latest instance of an unarmed black man being killed by a white officer. Slager's wife, Jamie, who is eight-and-a-half months pregnant, and mother, Karen Sharpe, saw him Friday for the first time since he was charged, CBS News correspondent Vicente Arenas reports. Slager's attorney said he is being held in an isolation unit for his own protection. His mother told CBS News she's worried. "He's a wonderful person, he's very sharing, very caring." said Sharpe. "He and his wife are having a baby very shortly. I'm anxious about that. He won't be there for the birth, so I'm worried about her. This is not how you think it would ever be." She said she was shocked when she learned he was being charged with murder. "I couldn't imagine this of Michael," she said. A new complaint was filed against Slager and two other officers for a traffic stop last August, Arenas reports. The complaint alleges Slager yelled "watch out, I'm going to tase," then used his Taser on the driver, who was already restrained. CBS News' calls to Slager's attorney and police went unanswered. At the time he was stopped, Scott, a father of four who worked as a warehouse forklift operator, owed more than $18,000 in child support and court fees, according to Charleston County records. He last paid child support in 2012 and a bench warrant for his arrest was issued in early 2013. Scott had been in jail three times since 2008. "He had trouble keeping up with the payments, that's all, and he knew he would go to jail," his older brother Rodney Scott said. "His mission was to avoid the police as much as possible." Rodney Scott said his brother would take long detours while driving to their parents' house because he thought there were more police patrolling the direct, 10-minute route from his home. He said Walter also tried to make sure any vehicle he drove had working headlights and taillights. Some of the city's black residents have told similar stories about being stopped by police over minor infractions or simply avoiding police altogether. "This is a long time coming, but now that it has come all of those things have to be recognized. It's so sad that it happened like that because a lot of this stuff has been on the backburner for a long time," Ernest Murray, 73, said during Scott's wake. Scott was jailed back in 1987 on a charge of assault and battery, according to a report the Charleston County Sheriff's Department released Friday. The report indicates deputies responded to a call about a fight between Scott and another man. The report says that when deputies told the two to break it up, Scott began shouting obscenities at the other man as well as a deputy before shoving the deputy. The report said that Scott suffered a cut and was treated at a local hospital before being transported to the jail. The disposition of the case was not immediately known. Despite Scott's record, those who knew him remember Scott as lighthearted and gentle. They describe a laid-back, fun-loving man who took his girlfriend dancing on weekends, entertained family and friends with backyard cookouts and hosted regular domino games the way other men have poker nights. "He wouldn't hurt a fly, man," said Ronald Smith, 29, a co-worker who often got advice on marriage and other life decisions from Scott when the older man gave him a lift home after their shift. "All of us looked up to him." Anthony Adkinson, another forklift operator, said they had barely met when Scott gave him $100 to pay attorney fees he owed. "He said, 'Don't worry about paying it back,'" Adkinson said. Friends and relatives said Jones was too rattled to talk with a reporter. Rodney Scott said she had been "a godsend" to his brother. "He didn't have to clean dishes. She didn't even want him to cut grass," Scott's younger brother said. "Man, she handled him like a baby. Spoiled him." Despite struggling to keep up with child support payments, Scott's relatives said he stayed close to his four children - a 24-year-old daughter and three sons, ages 22, 20 and 16.